Bike Taxi Unlimited provides superior driver-for- hire services to the general public via eco-friendly, person powered pedicabs. The company utilizes brightly colored, open- air pedicabs. These three-passenger vehicles are equipped with safety belts, headlights, and flashing taillights. Our chauffeurs provide friendly service and knowledgeable information about the city. Passengers may procure pedicab service by flagging down a chauffer or scheduling a pickup via the dispatch line (504-891-3441). 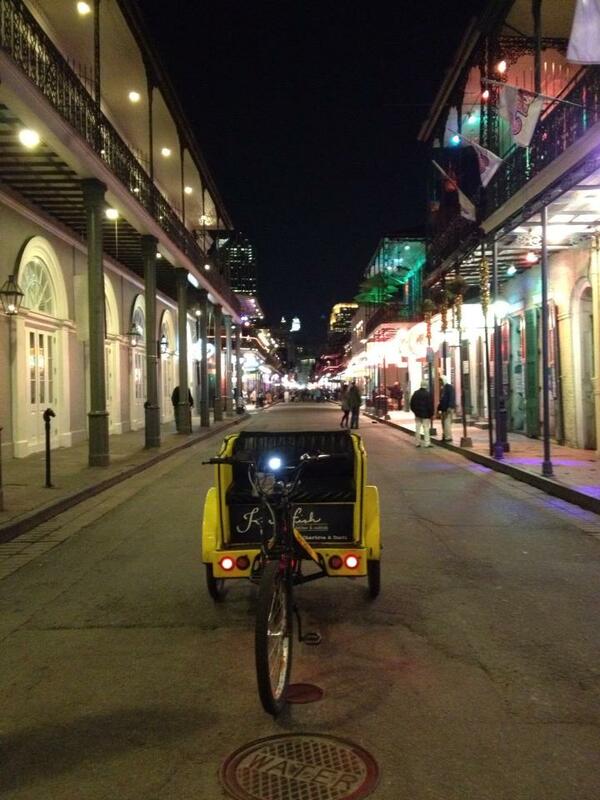 The services of our New Orleans pedicabs may also be rented for special events. In the near term, we will focus on serving the French Quarter, Marigny, Central Business District, Warehouse District, and Uptown. Our long-term goal is to expand this business throughout the city and support other “Green” initiatives in New Orleans. Bike Taxi Unlimited will encourage the realization that New Orleans is an eco-friendly city. The company will not only provide a practical service to the residents and visitors of the city of New Orleans, but a unique experience in one of the most unique cities in the United States. From the seat of our pedicabs, you will enjoy a greater view of the city at an affordable price.